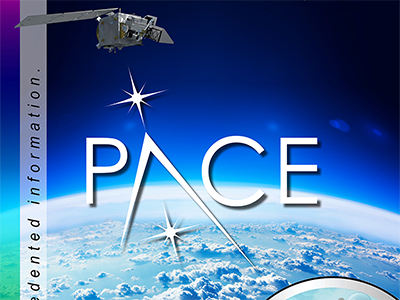 [Jan-19] Pop-up banner designed to highlight oceanic and atmospheric measurements of NASA's Plankton, Aerosol, Cloud, ocean Ecosystem (PACE) mission. The PACE spacecraft and Ocean Color Instrument are being built at the Goddard Space Flight Center in Greenbelt, MD. Credit: NASA/GSFC.